For some studies it is required to change the earth curvature 'K'. By default Radio Mobile uses the value 1,333316759 for the coverage calculations. Radio Mobile will not allow the change of this setting. Studies using different earth curvatures can be done outside Radio Mobile using RMpath. 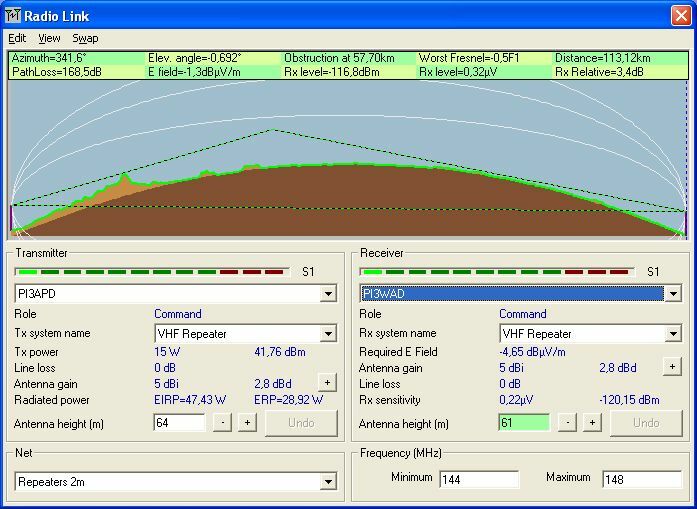 To be able to study different earth curvatures you have to export a path profile using the Radio Link feature. The following steps describe how to change the Earth Curvature for studies. 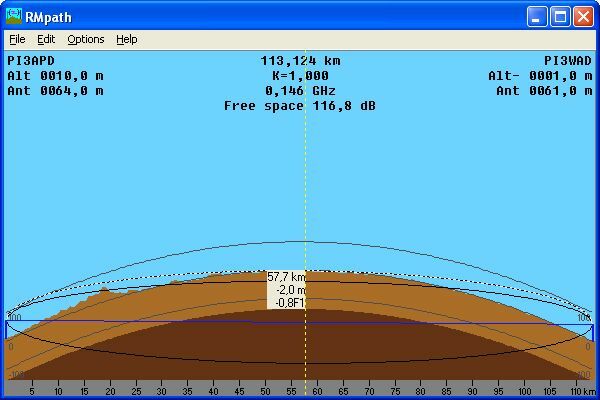 Prepare a path in Radio Mobile and display it in the Radio Link using 'Tools > Radio Link (F2)'. 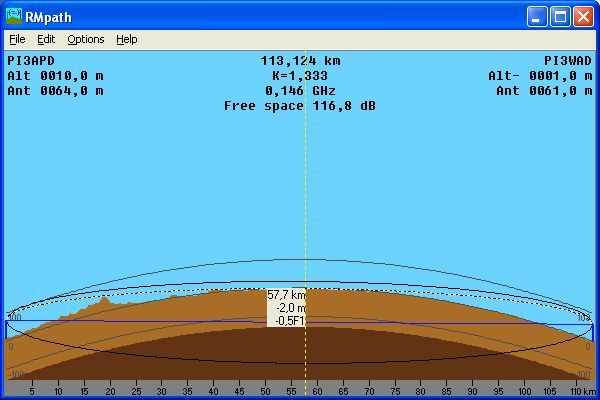 Export the path to a 'path profile file' Using the export function in Radio Link. 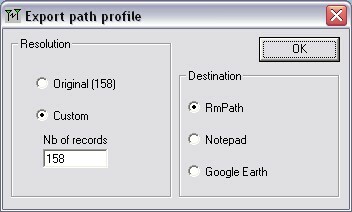 RMpath will pop up and display the path using the default Earth Curvature. 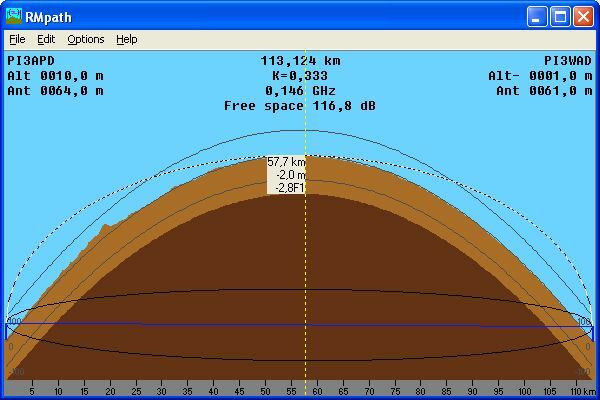 Open the path profile file and locate the Earth Curvature variable in the file. See 'The program > File Formats > Profile file format' For more information about the syntax. Alter the Earth Curvature to the required value. To display and analyze the effect re open the path profile file in RMpath.